Milan Fashion Week never lets us down. High-impact hair and makeup moments together with one of a kind runway pieces have managed to take our breath away season after season. This time hair and makeup stylists have showcased colourful, glittery and vibrant tones proving once more that stepping out of our minimalist, comfort zones doesn't imply taking it to far. Were you starving for hair and makeup inspo? 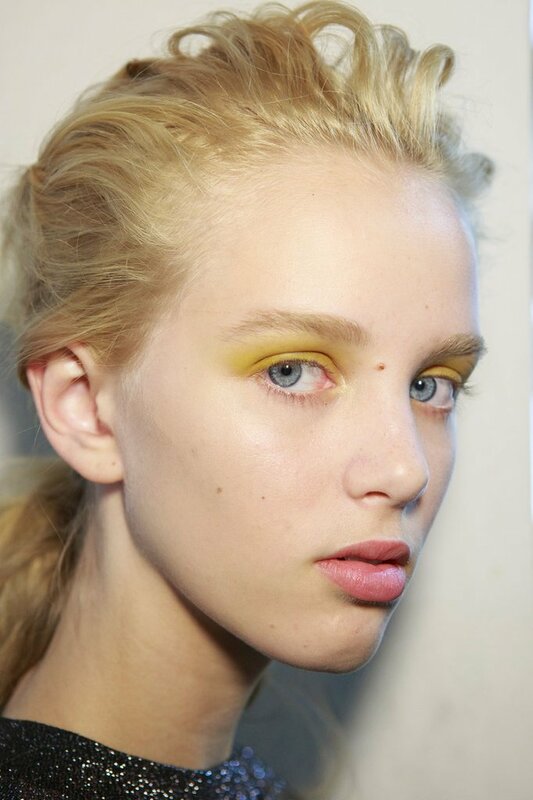 Sportmax came up with quite the fierce look, yellow/mustardish eyeshadow and untidy ponytails where the star of the show. Alberta Ferretti's dark dramatic lines and baroque earings. Ferragamo's orange shades and wet effect hair were perfection. 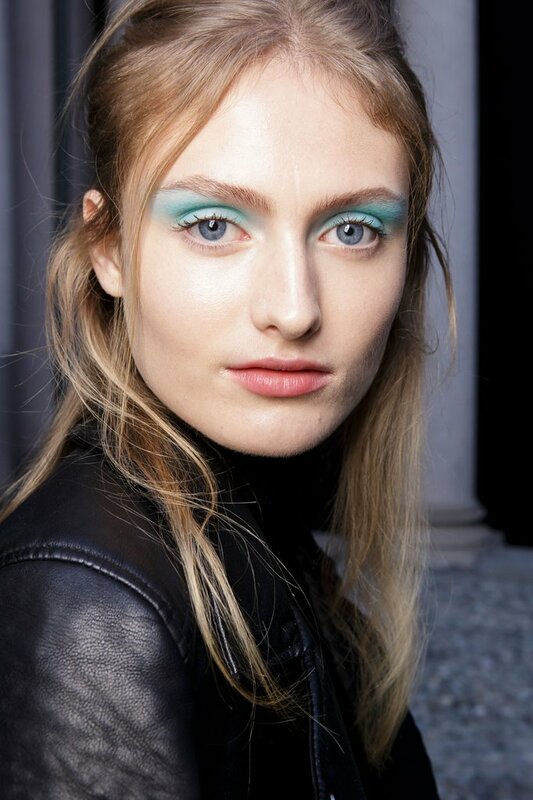 Byblos's soft vibrant blue eye shadow and tied back hair coexisted perfectly with the collection's clean lines. Aberta Ferretti's fierce smokey grey eye and natural look left no one unresponsive. Dolce & Gabanna, no one does la dolce vita better than italians, in this case red lip, cat eye and slightly blushed face together with a glamorous hair ornament lead in their show. Versace's straight hair lines and dark eye really stood out.